ID and GO's personalized luggage stickers add an identifier to your bags which allows you to spot them from a distance. With their luggage decals attached to your bag, you can easily identify your bag as it comes down the conveyor or around the carousel for a fast and simple way to get in and out of airports, train stations and bus depots, confident that the luggage in hand really is yours. They offer a growing catalog of images to choose from for your luggage sticker which includes scenic, animals and flowers and if you can't find what your looking for ID and Go can create a customized sticker based on the image that you provide. Contact ID and Go for more information about their luggage stickers today! Edge Outdoor Gear offers Outdoor Dog Beds, Big Frig Coolers, Dog Kennels and more. Designed for outdoor activities such as fishing, camping, hunting and boating, Edge Outdoor Gear is proud to present the finest outdoor products. If you are like us, your dogs are part of what you do. We designed our outdoor dog beds to make sure that your dogs can spend plenty of time with you wherever your adventures take you. Our Rhino dog bed is chew resistant, scratch resistant, and fluid resistant dog bed made of heavyweight double-coated ballistic nylon. What’s an outdoor adventure without a cold drink and food? Our Big Frig Coolers stay cold for as long as 10+ days. Rotationally molded and depending on the model features include UV protected interior and exterior, integrated rulers perfect for fishing and steel lock plates with built-in bottle openers. Edge Outdoor Gear was started because we love talking with folks about the same things that drive us, enjoying the great outdoors. So whether you are kicking back by a crackling riverside bonfire, chasing the cackle of the flushing rooster, or listening to the owls from your back deck, we want our products by your side. Contact Edge Outdoor Gear to learn more about our outdoor dog beds, Big Frig Coolers, Dog Kennels and more at (833)201-6457 today! Household storage and organization just became easier with the wide variety of products for the home from from household essentials. From storage to home decor and LeifHeit USA, householde essentials has something for everyone. Household essentials a variety of products such as china storage, multi-load drying hampers and cabinet ironing boards. 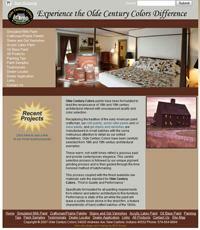 To learn more about household essentials storage and organization products contact them today! Established in 2008, is a wholesale ribbon supplier fulfilling their dream to bring fine ribbons to the marketplace with looks ranging from sophisticated to casual, d.stevens has it all! Their gifted designer and the creative force behind their fine ribbon is Donna Stevens. She loves designing ribbon and caters to bringing their clients the most beautiful fine ribbon in the world. With over 30 years of combined experience team d.stevens creates one of a kind fine ribbon designs as well as providing their clients with new and unique products for each season. Contact d.stevens today to learn more about their wholesale ribbons today! 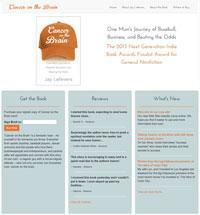 In the book, Cancer on the Brain Jay Lefevers chronicles his personal journey in dealing with first a brain tumor, and two years later, a diagnosis of lymphoma. During his health struggles Jay’s passions for both baseball and business had very little impact on either one. In 2007, his Little League team advanced through championships games to become one of 11 Arizona teams that qualified for the state tournament that year. In 2008, his company, Viewpoint Group, was named to Inc. magazine’s “Inc. 5000” list — recognized as being one of the fastest growing companies in America. In 2013, the Next Generation Indie Book Awards, the nation’s largest independent book awards organization, selected Cancer on the Brain as a 2013 general nonfiction finalist. Jay is available for speaking with business, cancer and wellness support and community groups, as well as for interviews. High performance racing clutches by DXD Racing and South Bend Clutch provide the best clutch kit options for any vehicle and any driving style. South Bend Clutch is a family owned business with over 40 years of experience in the automotive field and they are a full service racing clutch company offering upgraded performance clutch and flywheel packages, OE replacement clutch kits, and the ability to rebuild agricultural and industrial style clutch parts. 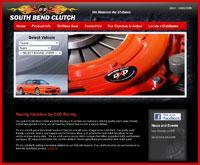 Contact South Bend Clutch and DXD Racing for more information about their automotive clutch kits or Shiftless Gear today! Uniquely Crafted Wood Signs in Niles, Michigan offers interior and exterior handcrafted signs for all seasons along with unique and original pieces, with a large variety for our customers to choose from. We offer a complete line of Bar Signs, Camping Signs, Fall Signs, Flip Flop Signs, Hot Tub Signs, Kids Decor, Lake Signs, Margaritaville signs, Pet Signs, Pool signs and Winter Signs. Olde Century Colors provides paints that have been formulated to lead the renaissance of 18th and 19th century architectural interest with unsurpassed quality and color selection. Their paints recapture the tradition of the early American paint craftsman. Their simulated milk paints, acrylic latex paints and oil base paints, just to name a few are manufactured in small batches with the same meticulous attention to detail as our skilled forefathers. Olde Century Colors are specifically formulated for all painting requirements from interior and exterior architecture to fine furniture. Contact Olde Century Colors for more information! 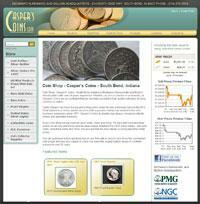 Casper's Coins is Michiana’s Numismatic and Bullion Coin Shop in South Bend, Indiana with over 29 years experience. We sell Gold and Silver bullion at very low premiums and we have a large selection Rare Gold Coins - Pre 1933, rare coins, collectible coins and more. We also provide the best values by using real-time spot pricing for gold and silver. Contact Casper's Coins or stop by one of our two convenient locations, we are confident that we can help you build a high quality colletion of coins, currency or bullion. Draft Horse Harnesses - Shipshewana Harness & Supplies truly is in the "heart of draft horse country." It's rolling hills, huge farms and friendly residents make this the perfect place for us to keep the tradition of fine draft horse harness-making alive. We have been serving our community and the entire North American draft horse industry for many years providing Driving Harnesses, Showtime Draft Horse Equipment and Draft Horse Training supplies by Cathy Zahm. Contact Shipshewanna Harness for more information as they are committed to providing you with everything you need - and more than you expect. It Pays To Hire a Pro!